So we all are making gifts for our near and dear ones and most of us are always behind schedule because…..oh well let us accept it, making gifts single-handedly for so many friends and family members take a lot of time, hard work and it drains out all of us. So we thought of giving you guys a solution. 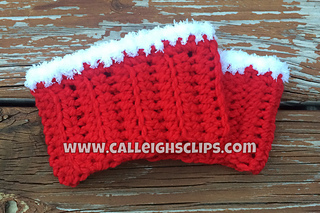 We have listed here some beautiful Free Crochet Patterns for Christmas Boot Cuffs. These can be made quickly and they are so easy, you would love to make them again and again. 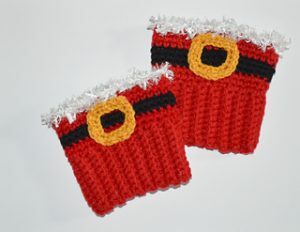 Santa Boot Cuffs by Evonne Umbel is a lovely one made using a Worsted weight yarn and a 5.5mm crochet hook. It looks good and is available in small medium and large. Santa Boot Cuffs by Amy Lehman is a nice one made using Worsted weight yarn and a 5.00mm crochet hook. The pattern is available for all sizes. Also, a video tutorial is available on the website. Sampler Snowman Boot Cuffs by Heidi Yates is a cute one made using Aran weight yarn and a 5.00mm crochet hook. It is available for Child, teen and Adult sizes. 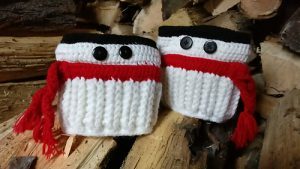 Snowman Boot Cuffs by Shelley Bunyard is a cute one made using Aran weight yarn and a 5.5mm crochet hook. 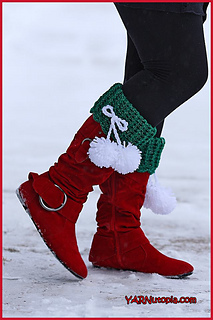 Peppermint Boot Cuffs by Dorianna Rivelli is a lovely one made using Aran weight yarn and a 5.5mm crochet hook. Available for Tees and Adults. Festive Fur Boot Cuffs by Elisabeth Spivey is a nice and easy pattern made using Super Bulky yarn and a 6.5mm crochet hook. 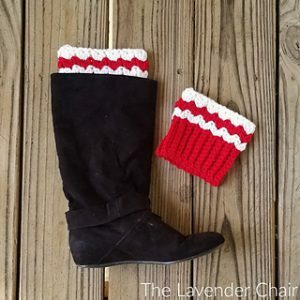 Festive Pom Boot Cuffs by Nadia Fuad is a very beautiful and unique pattern made using Worsted weight yarn and a 5.5mm crochet hook. 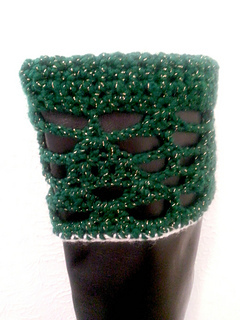 Christmas Tree Boot Cuffs by Evonne Umbel is a nice one made using Worsted weight yarn a and a 5.5mm crochet hook. The pattern is available as a Free Ravelry Download. 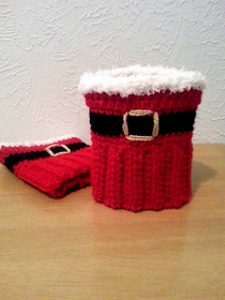 So these were some lovely Christmas Boot Cuffs. 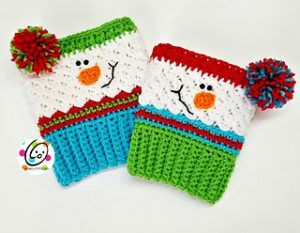 I like a lot of your free patterns but being new in here I don’t know where to find the patterns. I’m also new to crocheting and I’m a beginner to knitting as well.